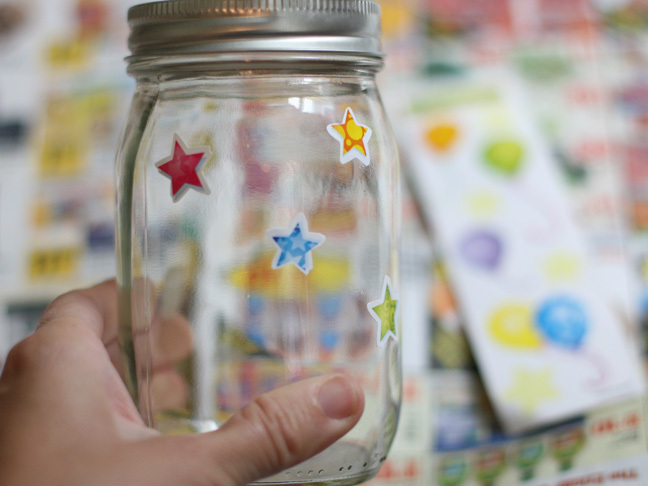 These transformed mason jars are a fun way to both decorate an outdoor table for a 4th of July celebration or a safe way to entertain the kids during fireworks. 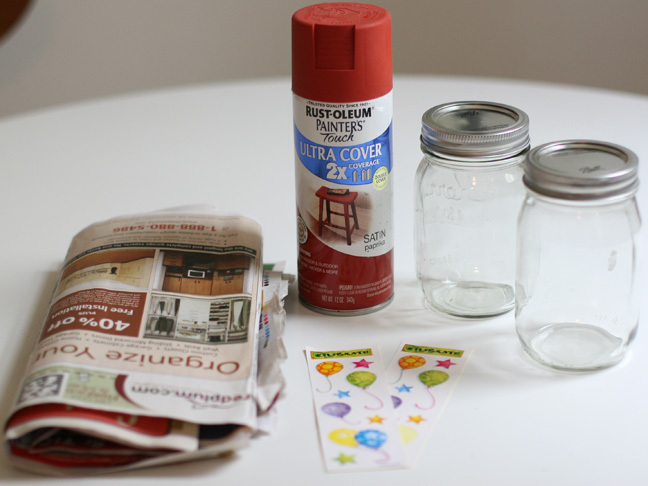 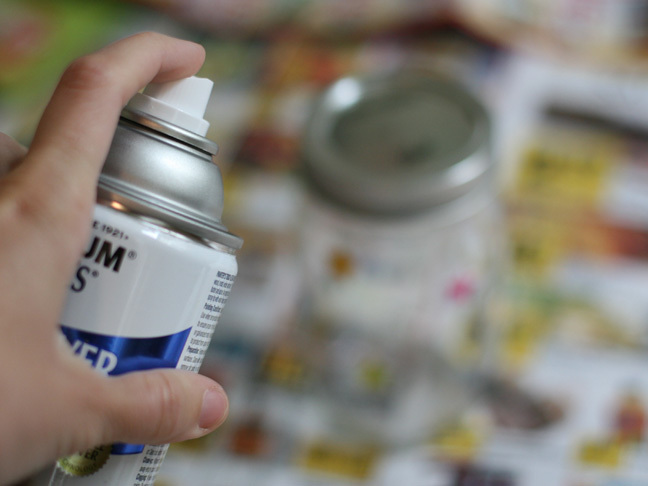 Screw on the mason jar lid and cap and place on top of a table covered in newspaper in a well ventilated area Spray with the paint from a nice distance around the entire jar until it's coated well but without drips. 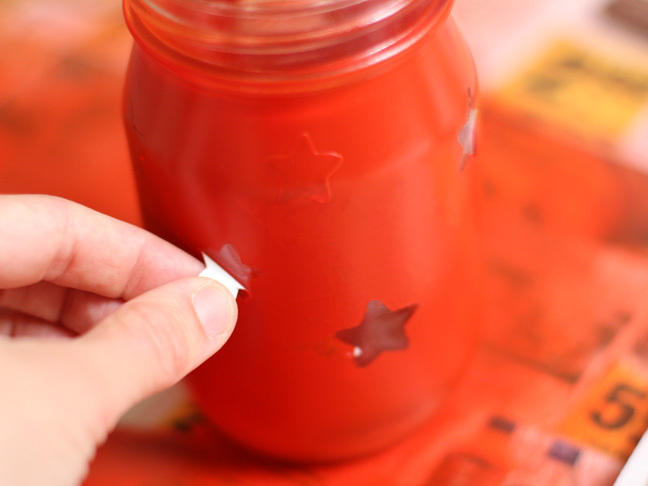 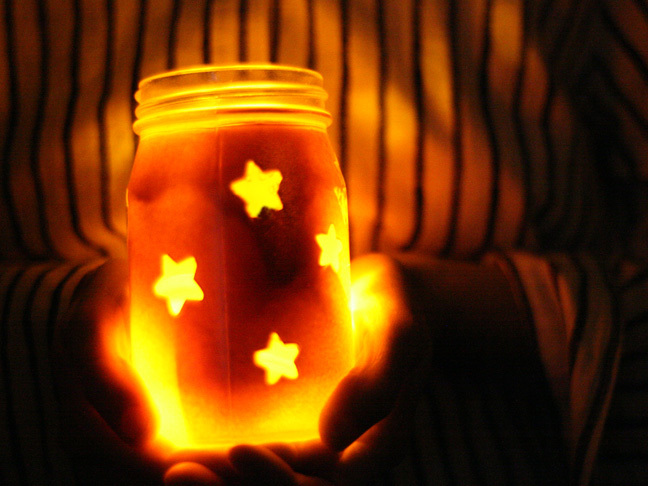 Place 2-3 battery operated votive candles in each jar and enjoy your festive 4th of July evening!